Writers and Scribblers Literary Retreat: Success!!! On Saturday, August 13, from 10:00 a.m. to 8:30 p.m., my friend and writer-colleague Blair Runion and I hosted a writers conference. 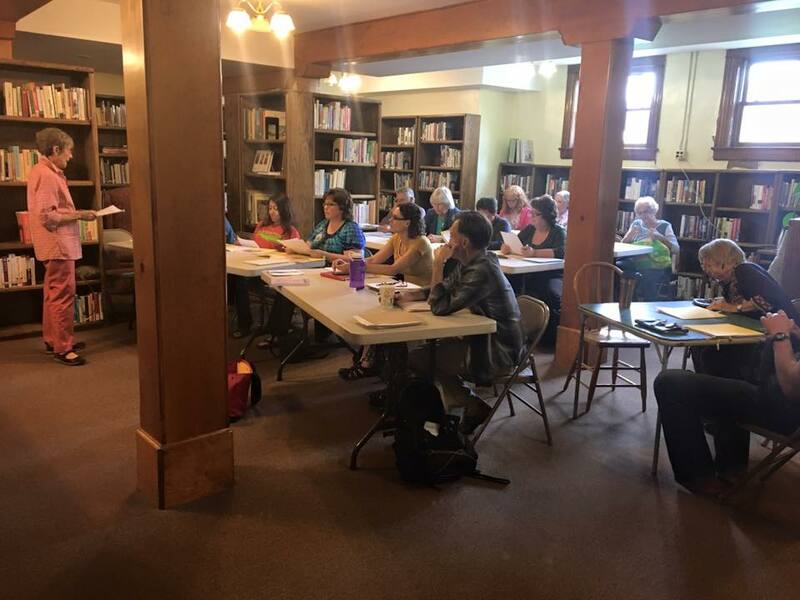 Named the Writers and Scribblers Literary Retreat, after the authors group I organize here in Durango, Colorado — Writers and Scribblers — this writers conference filled every hope I’d had for a successful event, and well beyond. 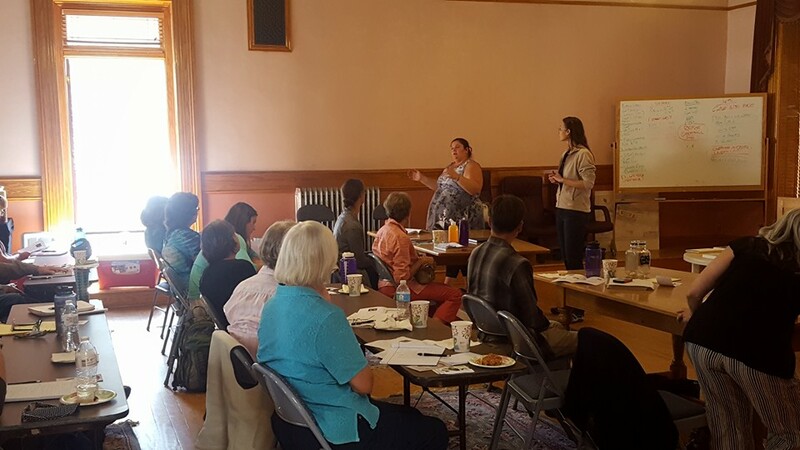 Held in two gorgeous historical buildings in Silverton, Colorado — the Silverton Town Hall and the Silverton Public Library — this event drew attendees from all over the Four Corners region, and my only regret is that I didn’t take any photographs of the day. And you were both so graceful in your presenting of the speakers … Melissa, I felt so profoundly grateful for your thoughtful words. Blair and I could never have pulled off this event alone — we received so much help from Blair’s mother, Deborah, and people who stepped in to help when we most needed an extra pair of hands, like my sister. This writers conference had the look and feel of a professional event, hosted by an organization of people, when really, it was just Blair and I and a tiny network of our supporters who pulled off this spectacular, amazing, beautiful and moving literary retreat. I’m only sharing the words of two of our presenters here, because I had them in email format and it’s easy to copy and paste from an email — but I heard feedback all day long from the people who attended the conference, who enjoyed the lunch we prepared and served, and felt deeply touched by the words of the speakers that day — all the poets and writers who spent a day in Silverton to share their passion for literature — both the spoken word of art, and those recorded on paper and stone, pixels, pop radio hits, bathroom walls, wherever. This entire event was Blair’s idea — she gets all the blame for making this happen. I just came along for the ride, the back wheel on the bicycle that went for a spin down the road. Blair has reserved the Town Hall for our second Literary Retreat in Silverton next year — so if you’d like to join us, mark your calendars for Saturday, August 26, 2017. Our keynote speaker this year, the poet Art Goodtimes, is enthusiastic about hosting a two-hour session on participatory poetry next year. I already can’t wait to experience this, and it’s a full year away! I have received in abundance many gifts from the universe, and participating in this Literary Retreat was my way of saying thanks — to the world at large and to all those who have helped me — as well as spreading the joy I find in words. In the dense web of networks that compose any one single life, we all throw out sparks in strange and unknowable ways — the Writers and Scribblers Literary Retreat was one such spark. Thank you to everyone who came, both in physical body as well as in spirit — and to everyone waiting to hear how this event went. It was spectacular. And such a great success that we’re planning to do it again! 2 Responses to Writers and Scribblers Literary Retreat: Success!!! SO GREAT!! So excited to see this happening again next year!! Some day I will come!! I’m so happy for you, and so glad all of your hard work and loving attention and good vibes are making a splash and coming back to you so abundantly. You and Blair did an amazing job. Thanks for letting me be another vicarious bike wheel. Thanks for letting me commandeer you, and Writers and Scribblers to put this on. It was a great day and worth all the sore muscles I’ve got. I know that next year will be even bigger and better!